I've always been a huge fan of Authentique Paper! My artistic style is Vintage Love with a modern twist. I've always incorporated little bits of vintage love in all my projects. 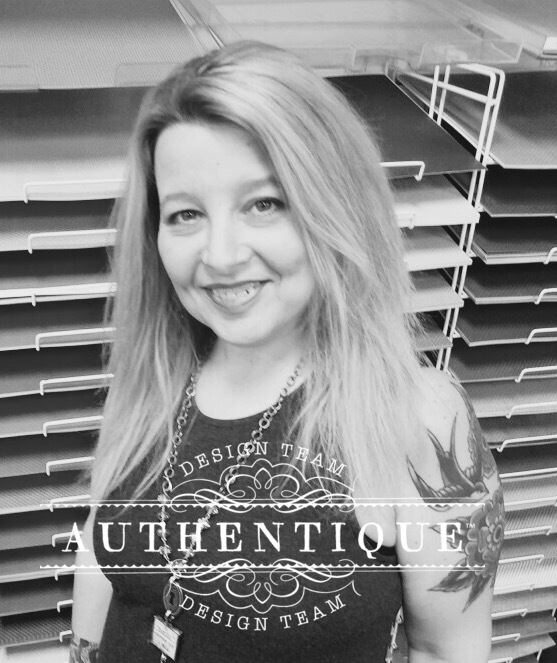 Authentique Paper is the perfect fit for my style! I have had the pleasure of working with them these past few months and have just loved everything about their papers and their company! Going forward I'll be using most of their paper lines and providing education, classes and demos using their products. I just finished up "Easter in a box". 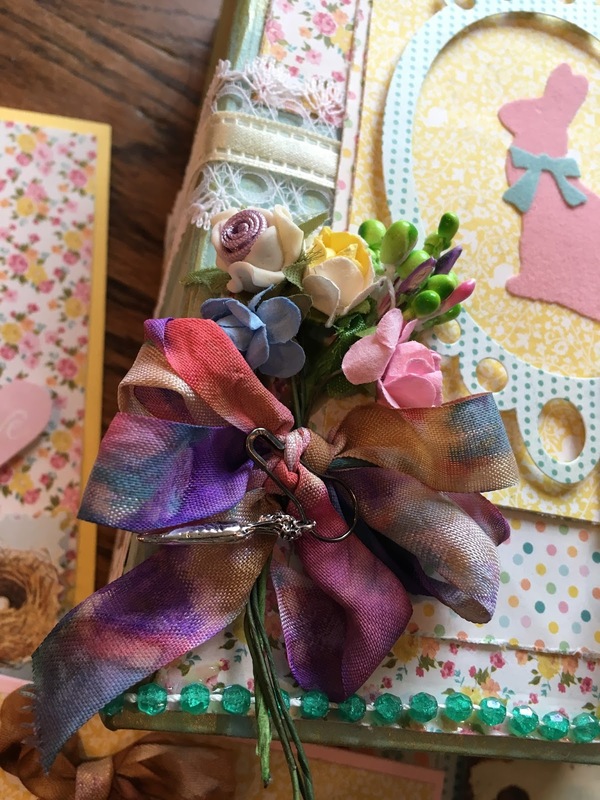 This is a great project for those that love incorporating a little mixed media into their projects. I've used a Graphic 45 Staples box and altered it with the Authentique Eastertime collection. I'm offering two versions of this class. 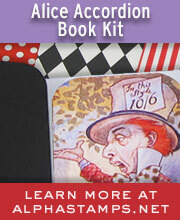 The first will be at the brand new store Live Happy Paper Crafts in Danville on March 18th. This is a great store right in downtown Danville. 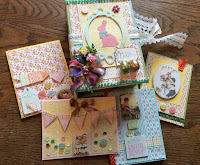 In this version of the box we will make 5 darling Easter Cards to fit inside the altered box. 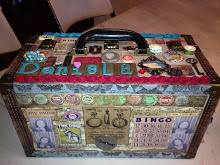 The second class will be at Its all about the Scrapbook in Dixon on March 25th. In this version of the Altered Box, we will make a darling Mini Tag Album to fit inside the box. Both versions are darling and you can find all the information on dates etc on my Class Page here on the blog.